The Shakespeare Institute Review is a new online academic journal, which is funded by the University of Birmingham College of Arts and Law. It is run by four research students at the Shakespeare Institute, Stratford-upon-Avon, UK. Students at this institution, and on other postgraduate Shakespeare programmes, are invited and encouraged to contribute short papers for publication. Each issue of the journal will be themed. We thought it exhilaratingly inappropriate, and so irresistible, to signal the birth of this journal with an issue looking at death. Students are encouraged to submit papers, between 1,500 and 2,500 words, on topics relating to death, mortality and religion in Shakespeare’s plays, or elsewhere in the Early Modern period. Critical examinations of the way that various of Shakespeare’s characters deal with death, or die. This could include close-reading, comparative analysis, and analysis from a specific theoretical position (Marxist, feminist, etc.). Historical studies of how mortality or religion was understood in the early Modern period, and of how Shakespeare makes use of (and plays off) those understandings in his plays. Considerations of the political, ethical, religious, spiritual and existential significances of mortality or religion in the Early Modern period, and for Shakespeare’s characters. Comparisons between how Shakespeare understands mortality, and how other creative artists and philosophers–-of Shakespeare’s time, or before, or after–-have understood it. More intensely personal and experientially engaged writing on how Shakespeare’s plays have helped you deal with death–-with your own mortality, or with the death of people that you know. How does Shakespeare make you look at death, and is this vision comforting or distressing? Does Shakespeare get to the truth of death, for you, or not? Reflections on metaphysical and spiritual truths that arise from Shakespeare’s plays. More provocative reflections on how the writing that is produced by the Modern academy–-writing that is critical, theoretical, historical—does not deal adequately with death in Shakespeare’s plays, and suggestions as to how this inadequacy can be rectified. Suggestions of other topics will be warmly received. Papers should be submitted to shakesreview@gmail.com, with a deadline of 20 May 2012. All submissions will be reviewed by the editorial board, and those submissions that are selected will be published in our first online issue. Please contact us for further information. The podcast of this lecture on Shakespeare and the Gothic can currently be heard and/or downloaded here. We invite graduate students with interests in Shakespearean and Renaissance studies to join us in May at the Shakespeare Institute in Stratford-upon-Avon for The British Graduate Shakespeare Conference. The conference is run by students, for students, and is now in its thirteenth year. It has a reputation for providing a friendly but stimulating academic forum and attracts delegates from around the world. Delegates have the opportunity to present their research in front of an audience of peers, to attend several plenary sessions organised across the three days of the conference, and to see the RSC production of The Merchant of Venice, starring Patrick Stewart, at group-booking price. The Institute is also ideally situated for students who want to visit the beautiful and historic town of Stratford-upon-Avon, to explore the world-class resources of the Shakespeare Institute Library and the Shakespeare Centre Library or to watch further exciting shows at the new Royal Shakespeare Theatre (see www.rsc.org.uk for the full season). The conference will feature talks by Martin Wiggins (The Shakespeare Institute), Catherine Richardson (The University of Kent), Matthew Frost (Manchester University Press), Jacquelyn Bessell (The Shakespeare Institute) and the Shakespeare Birthplace Trust, who will provide First Folio and archive viewing. 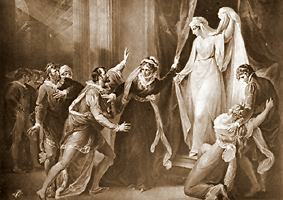 ﻿Jacque MacDonald will direct a performance of a court masque. Lunch will be provided on each day. We invite abstracts of approximately 200 words for papers of twenty minutes length (3,000 words or less). Delegates wanting to give papers must register by April 15 2011. Undergraduates in their final two years may attend the conference as auditors, as indeed may postgraduates. We encourage early registration to ensure a place on the conference programme. Prof. Jonathan Bate (University of Warwick). To view the conference website click here. Enter your email address and click the button below to subscribe to this blog and receive notifications of new posts by email. Johann Gregory and Darren Freebury-Jones run the blog. Theatre Reviews from @LucyMenon and @DarrenF_Jones et al. Info on Shakespeare, Renaissance literature and other useful library and research stuff. Cities. Culture. Regeneration. PhD Musings. Welcome to my blog! I am an academic historian of medicine and the body, and 2014 AHRC/BBC 'New Generation Thinker'. Please enjoy and let me know what you think.